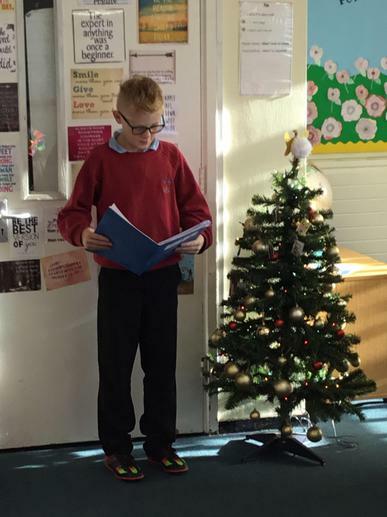 As part of our English work, Kingfisher Class read and explored the poem 'Twas The Night Before Christmas'. 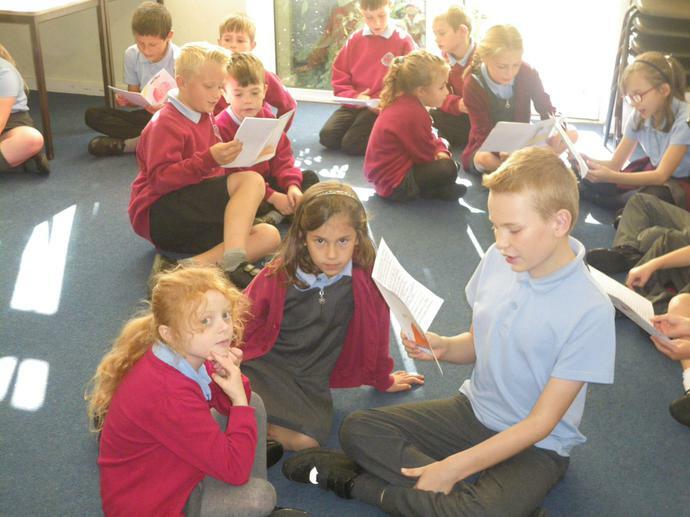 We split into pairs and each pair had to learn one of the verses by heart! 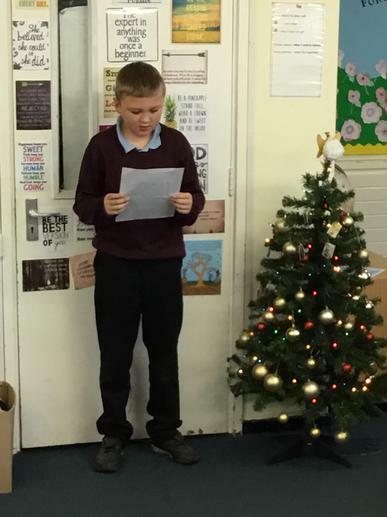 We also had a look at some different poetic features (like similes, alliteration and rhyme) and had a go at writing our own Christmas themed poems. 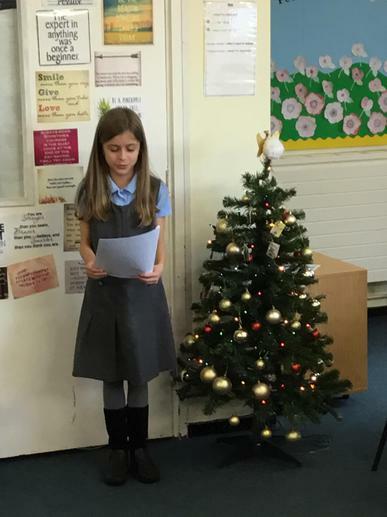 We performed our poems in front of the whole of Kestrel and Kingfisher Classes and enjoyed listening to what everyone had written. 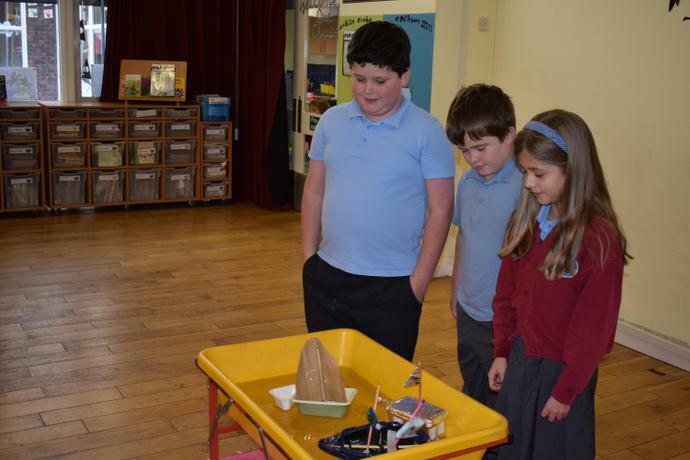 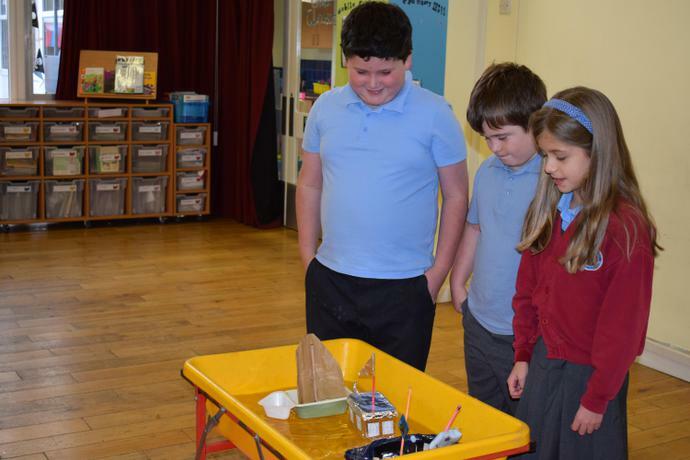 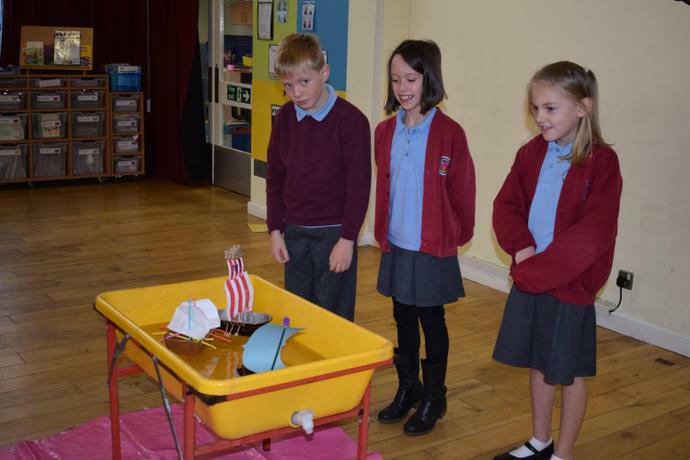 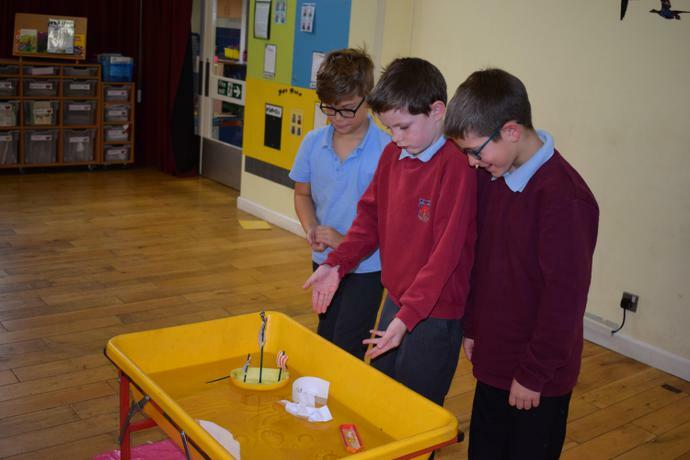 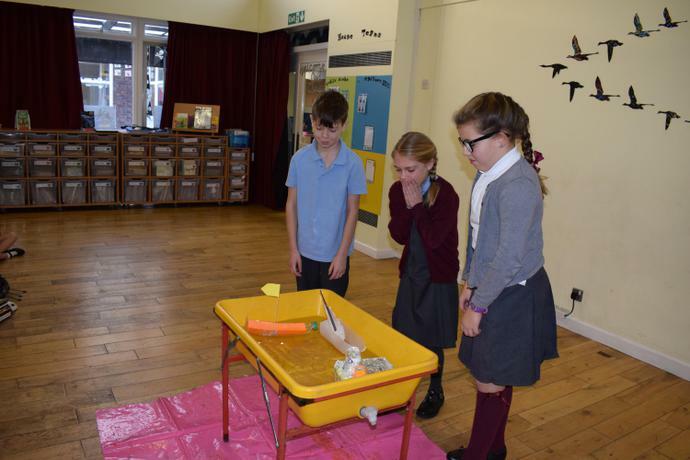 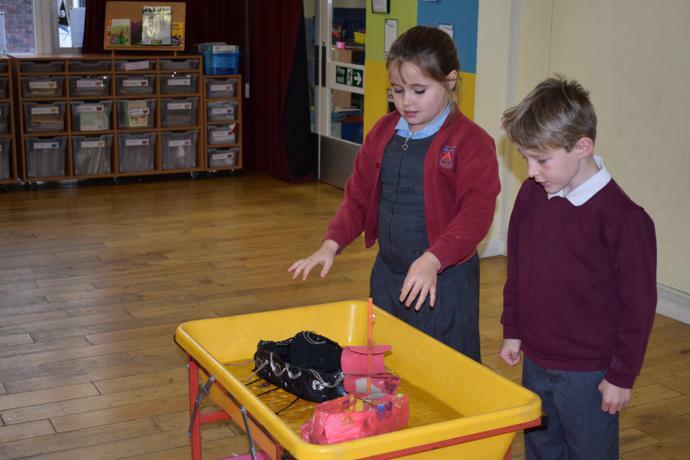 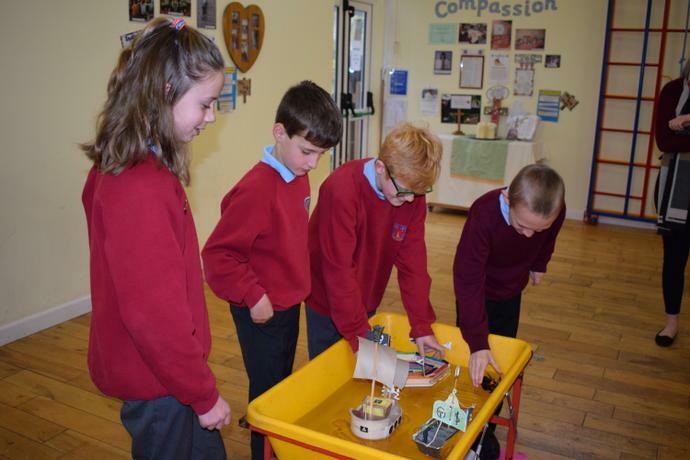 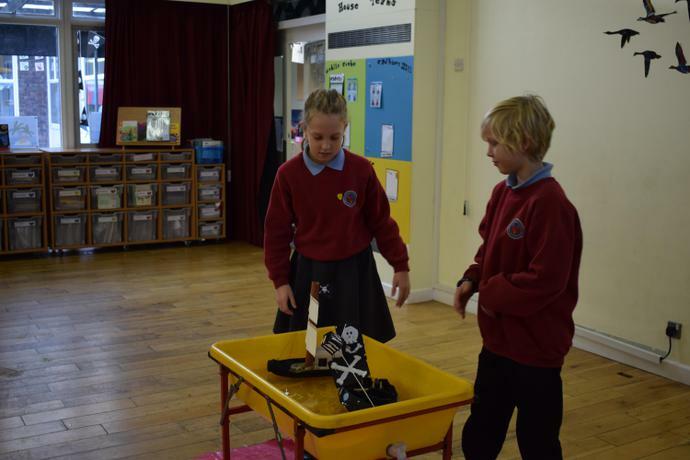 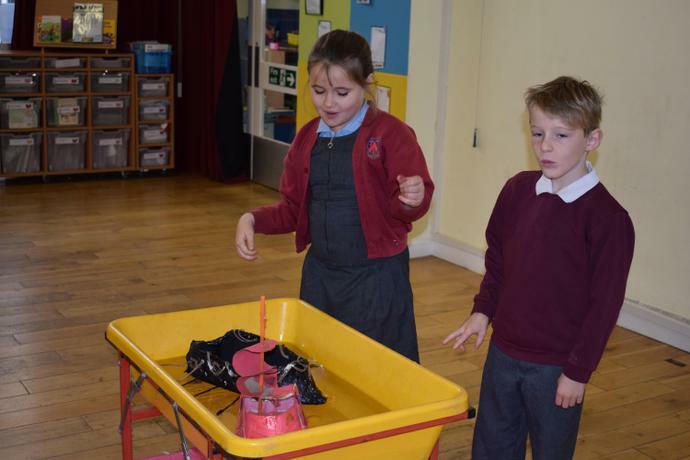 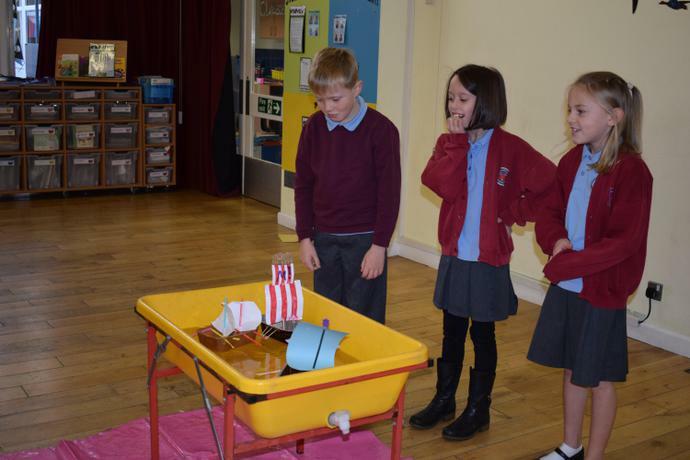 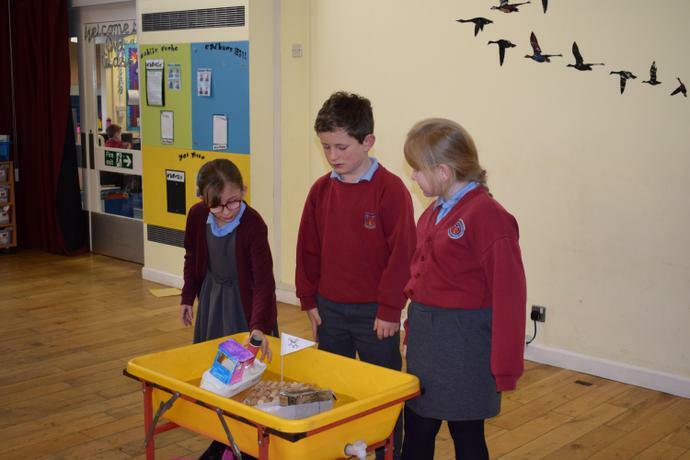 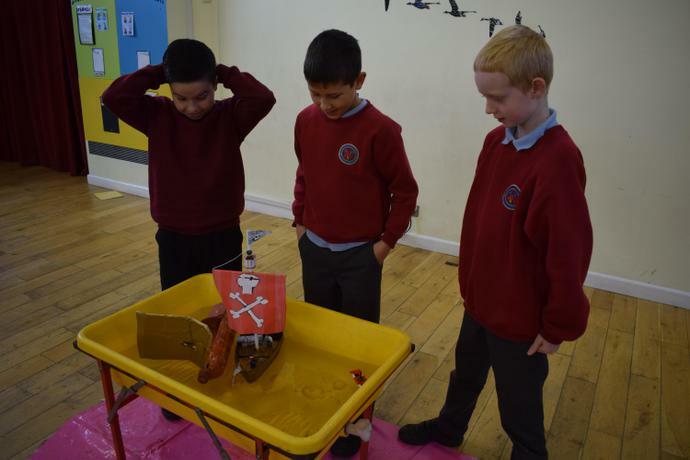 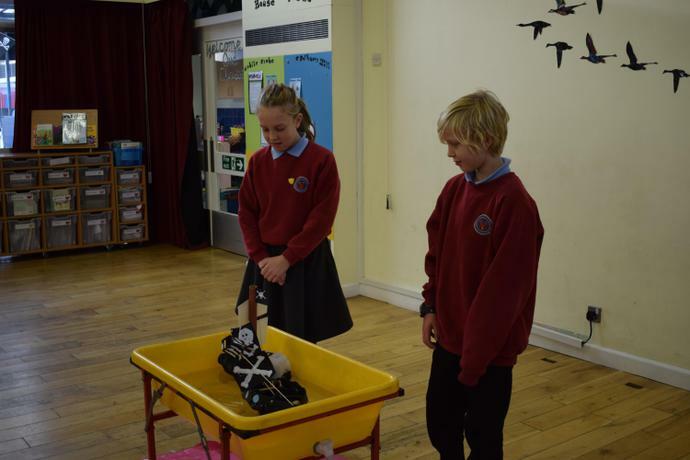 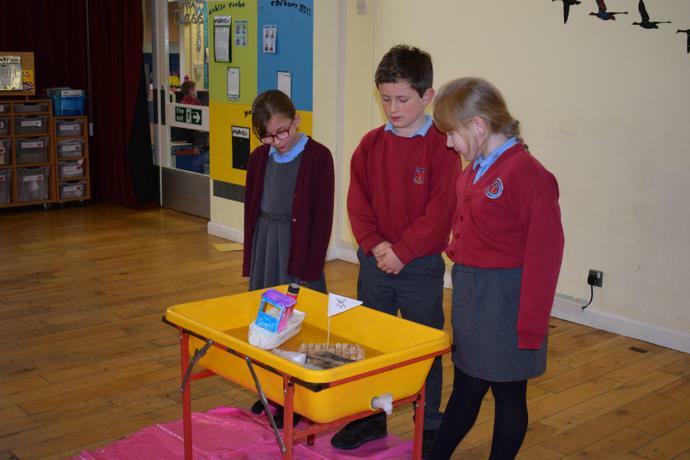 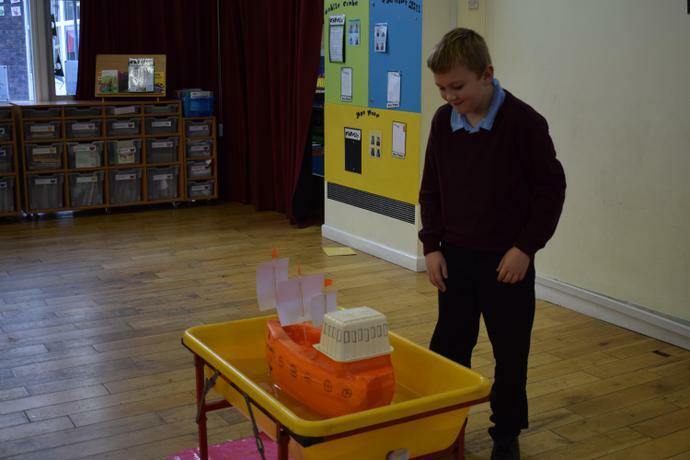 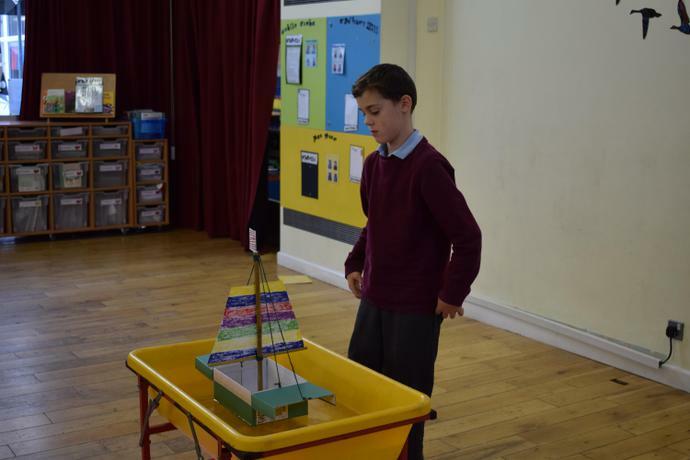 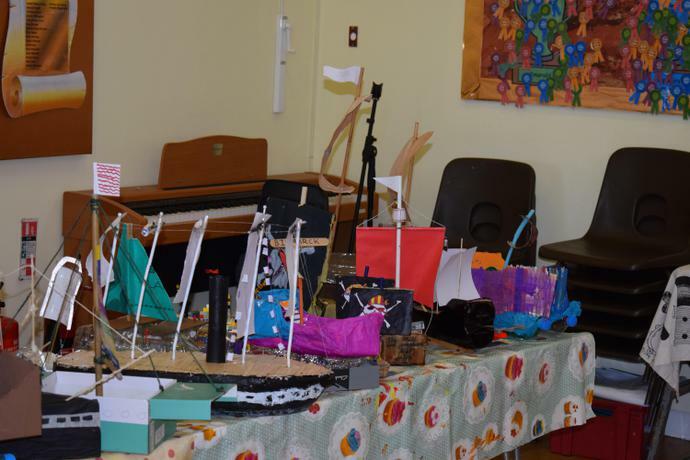 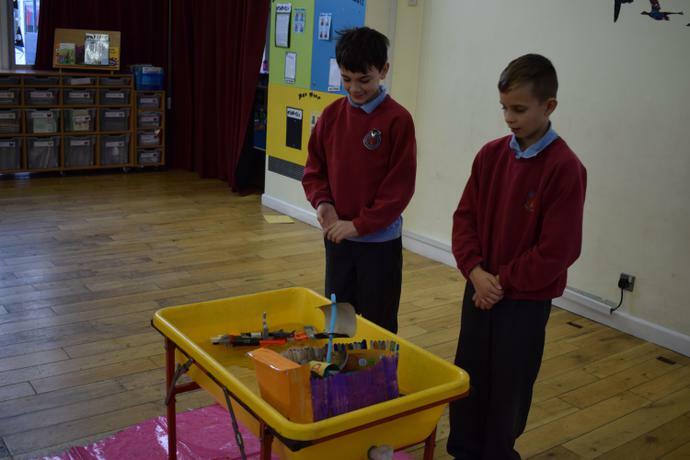 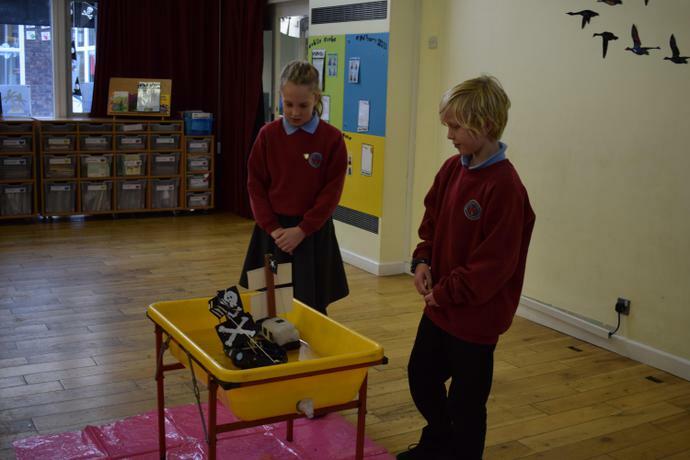 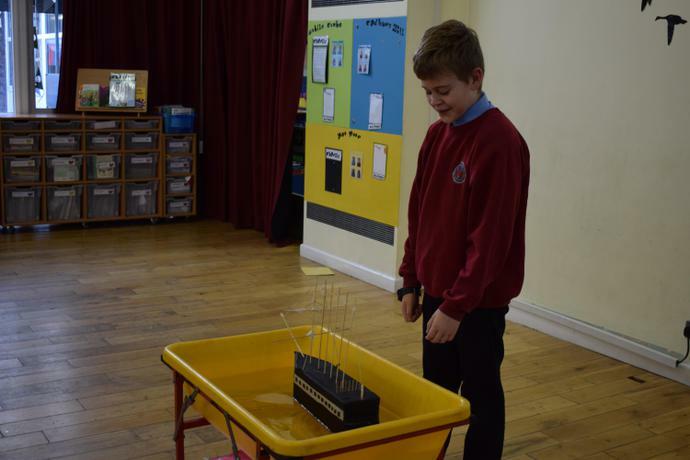 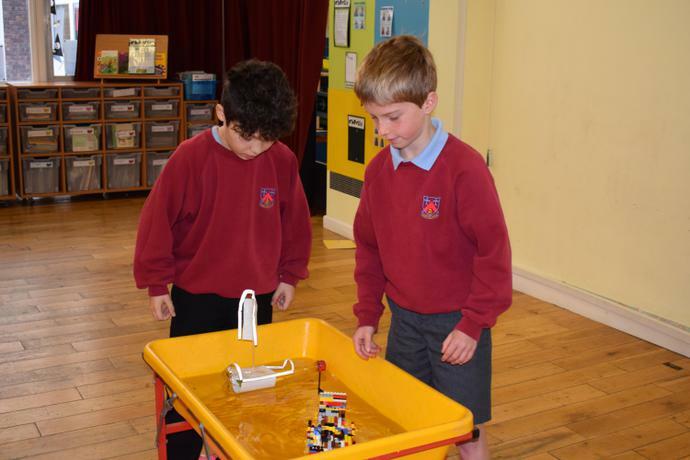 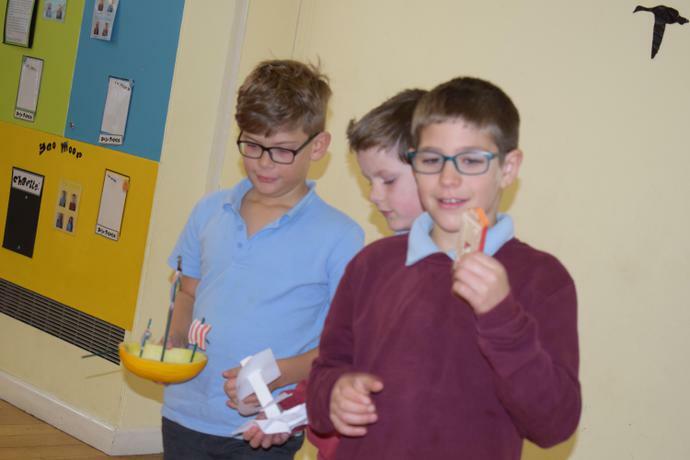 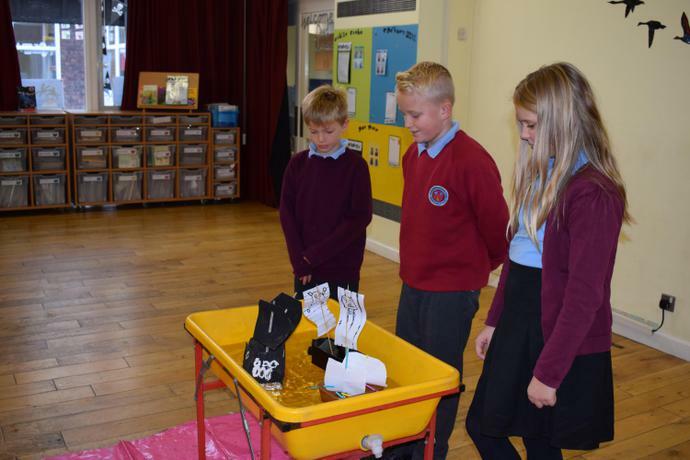 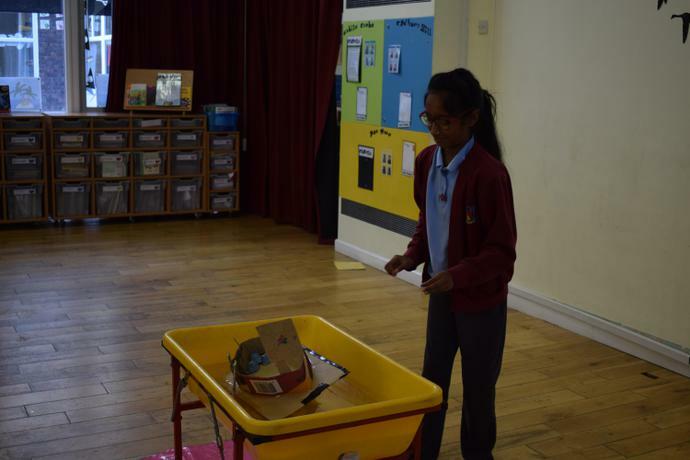 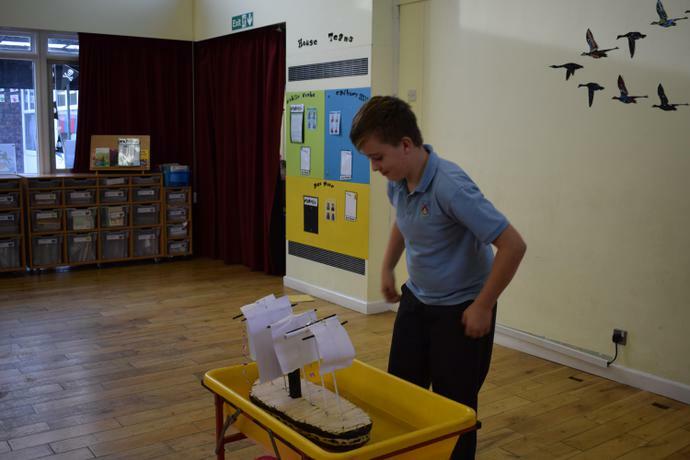 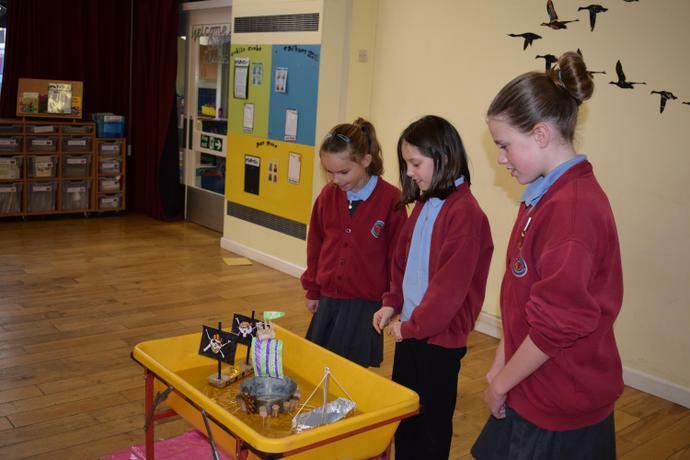 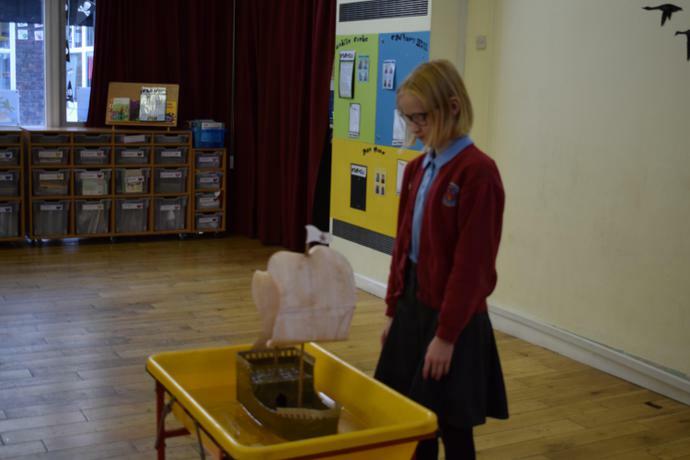 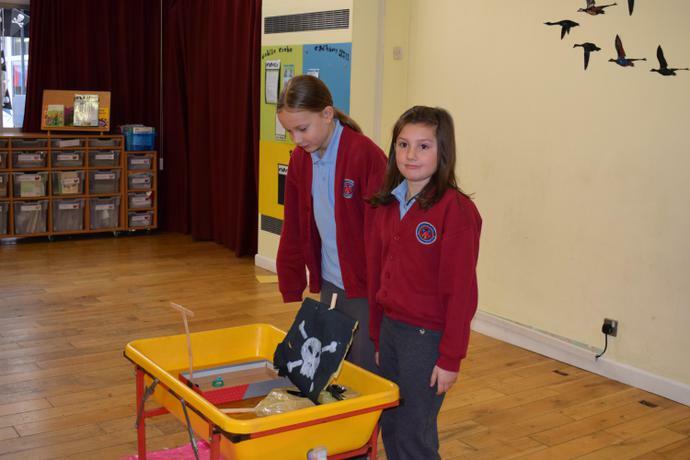 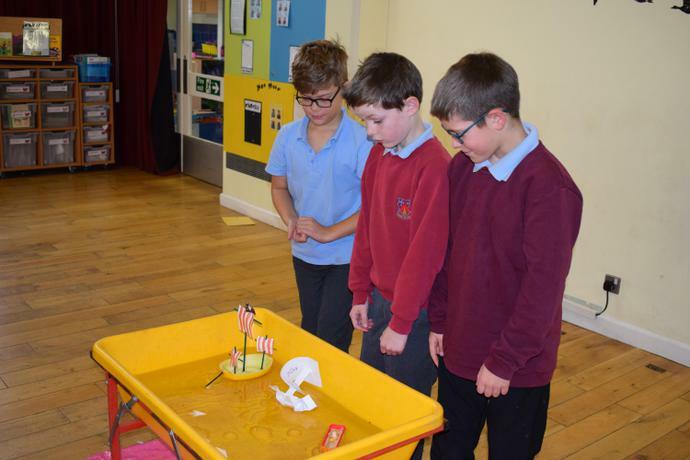 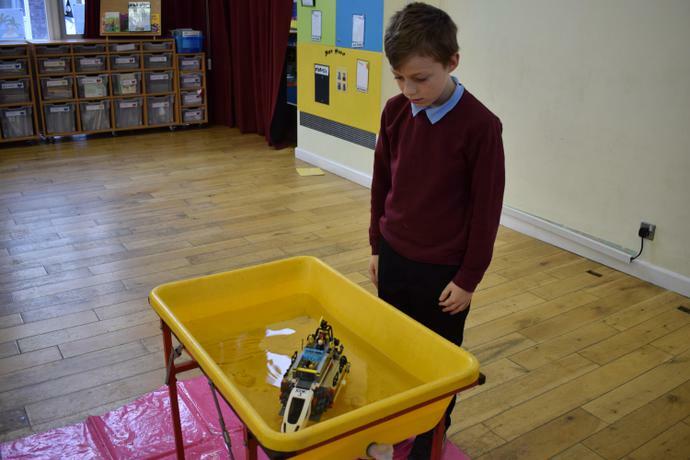 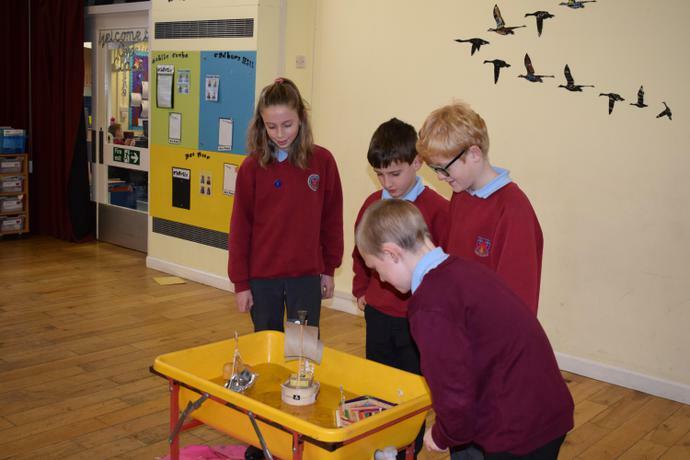 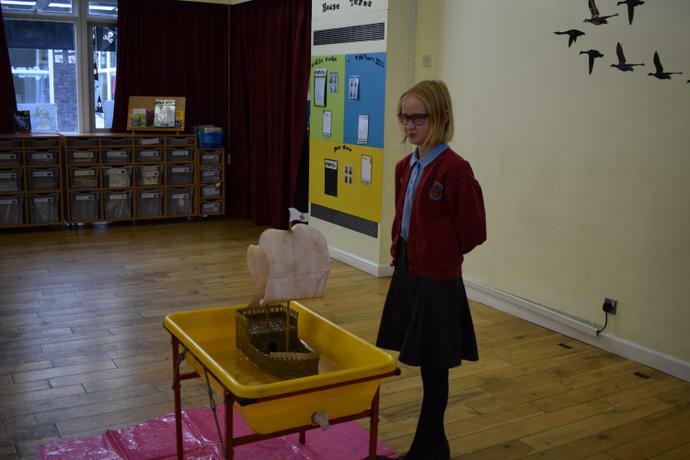 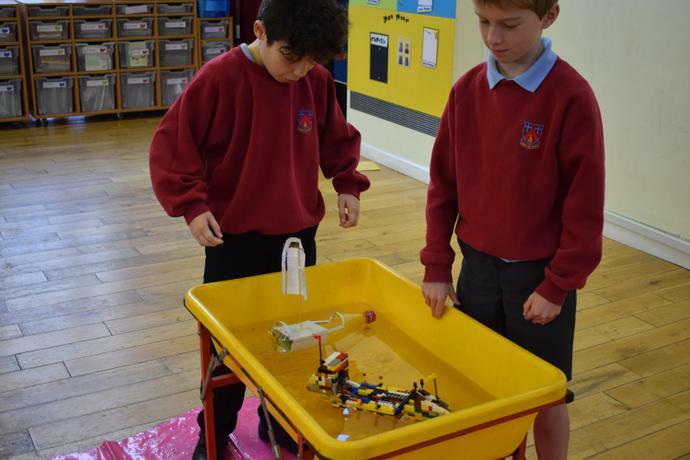 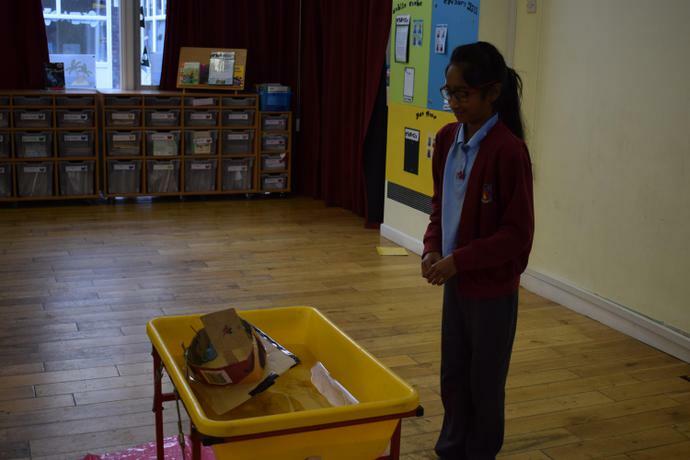 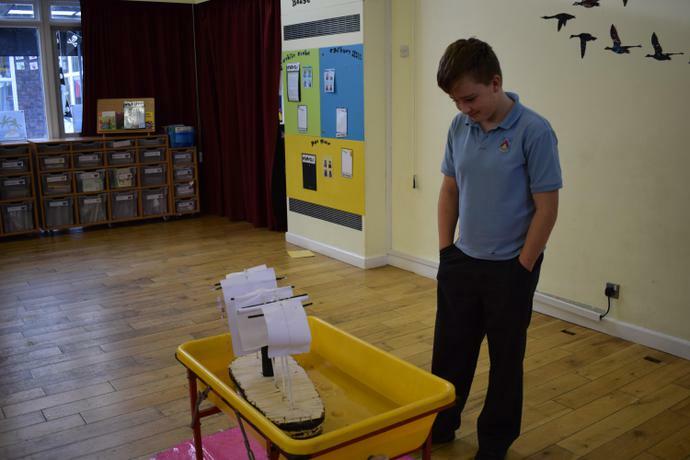 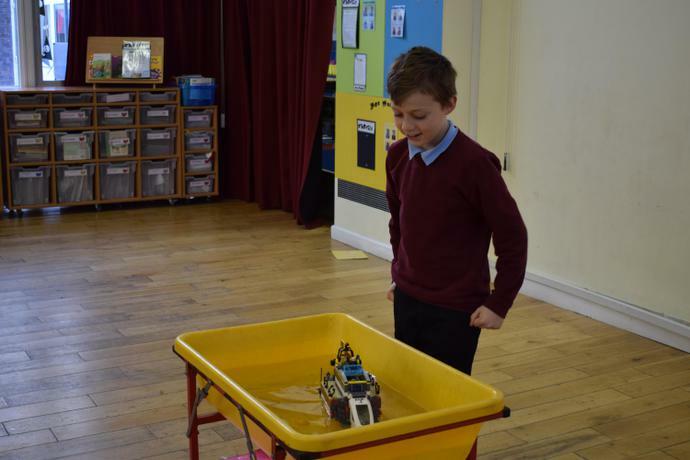 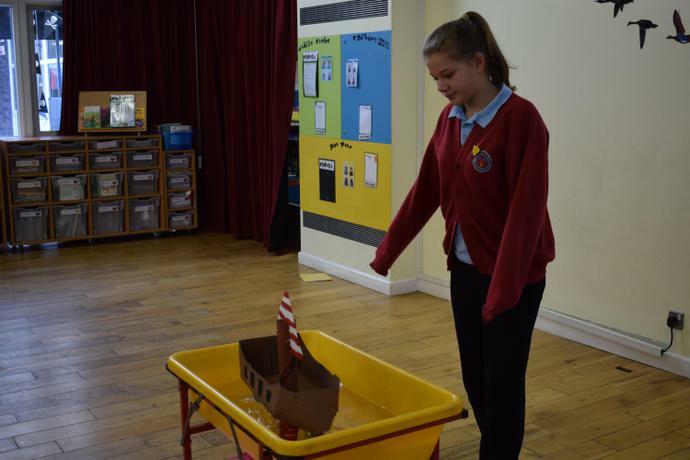 Over the last month, Kingfisher and Kestrel classes were set the challenge of making a model boat and preparing a presentation about a famous boat. 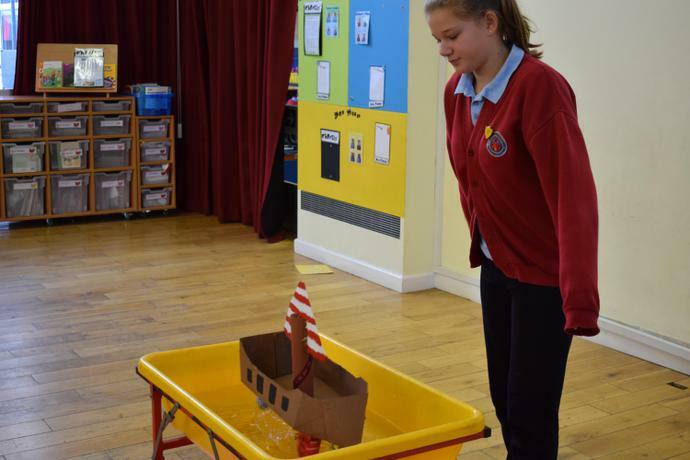 This was to support our learning about local history, where we have been focusing on Bristol as a port and the famous explorers, engineers and pirates(!) 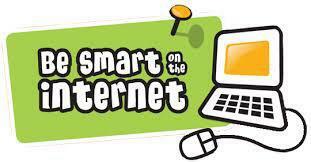 that are associated with it. 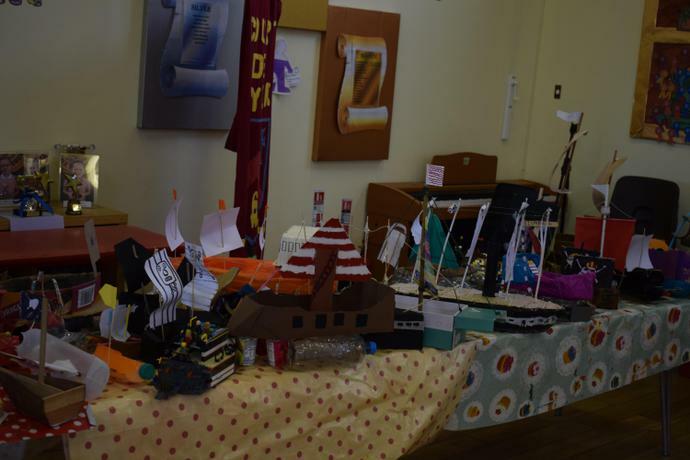 Miss Hunt and Miss Carter were very impressed with the effort and detail we put into our homework presentations, in particular the fantastic models that we made. 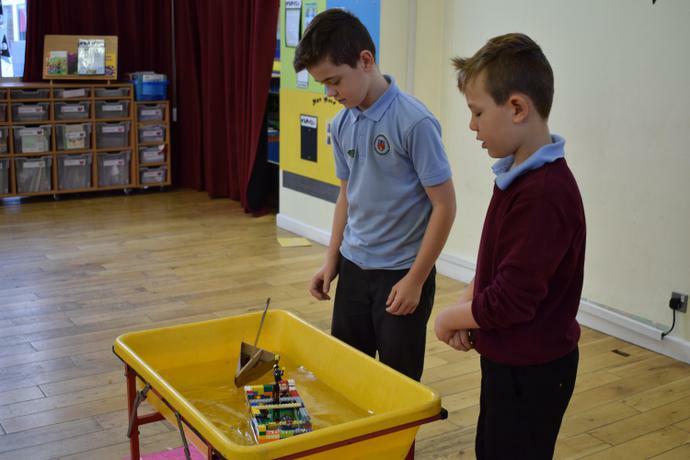 Testing our boat models to see if they float! 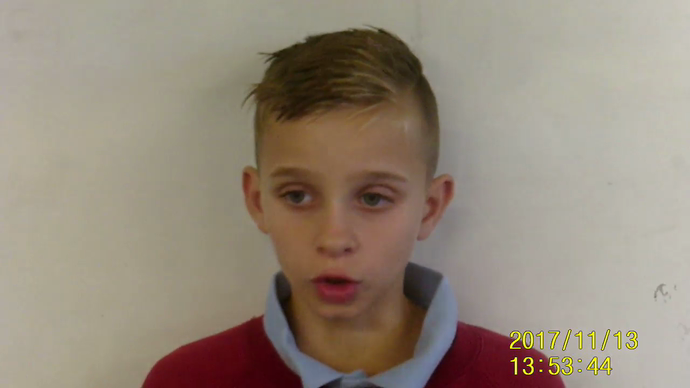 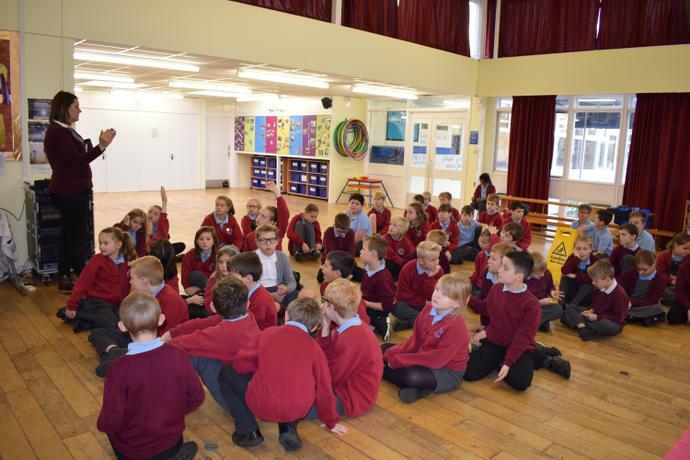 Last week, two PCSOs came into school to talk to us about how we can stay safe on the internet. 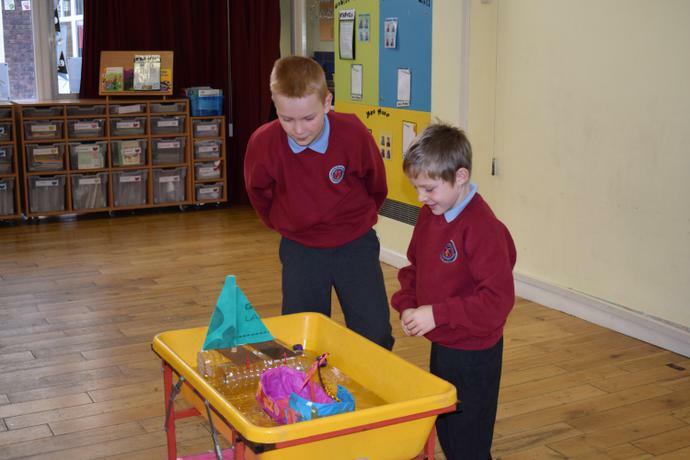 We played some games using a decision dial to say what we would do in different situations. 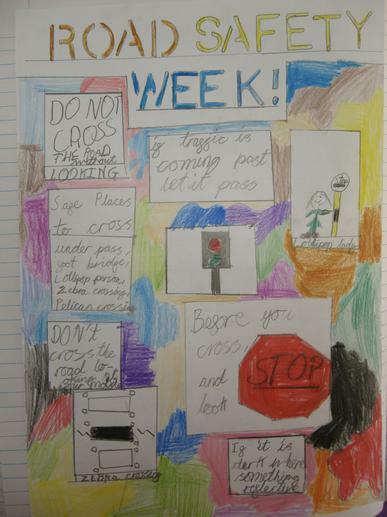 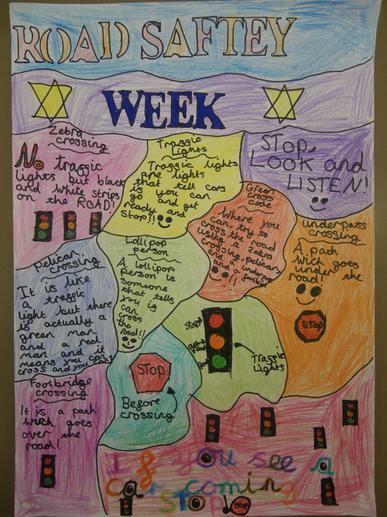 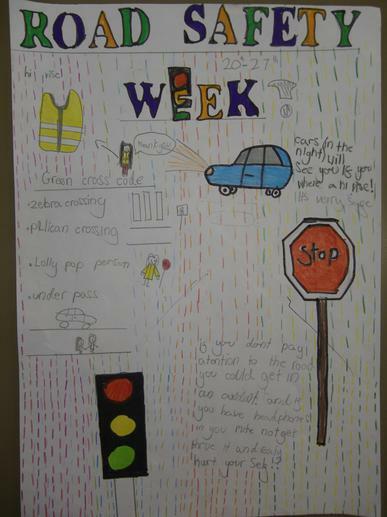 Our class e-safety representatives (Daisy and Jay) helped us to come up with some top e-safety tips. 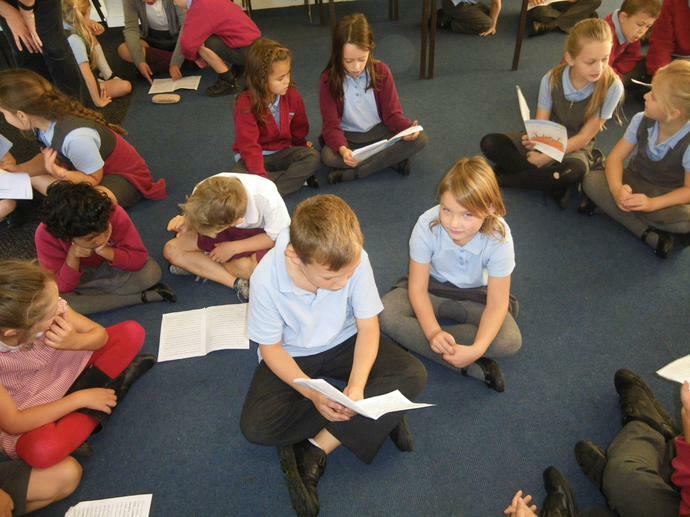 Miss Knight led us in a circle time discussion. 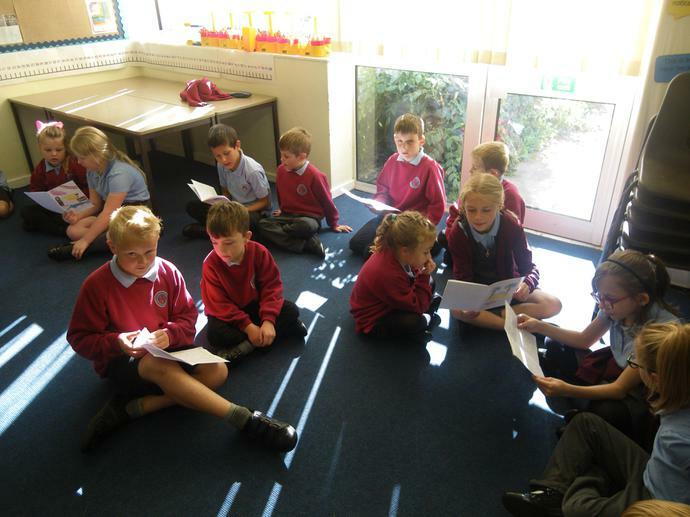 We spoke about different types of bullying. 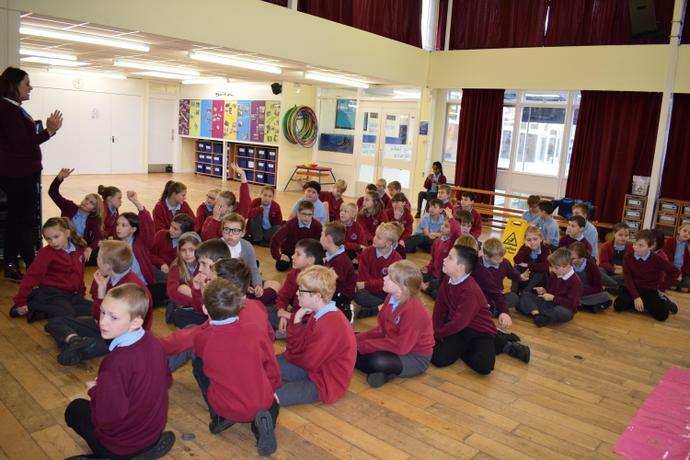 We talked about how we can stand up to bullies. 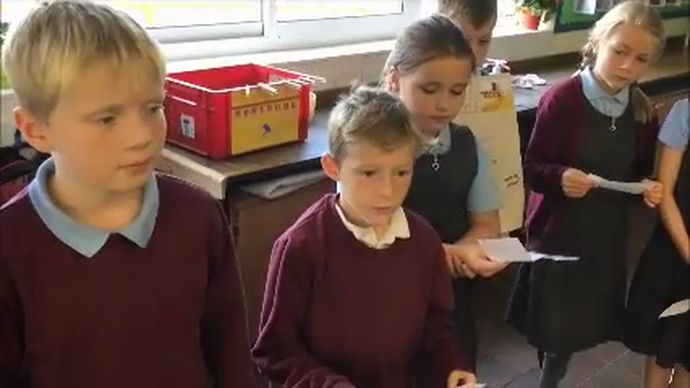 Miss Knight gave us photos of different faces. 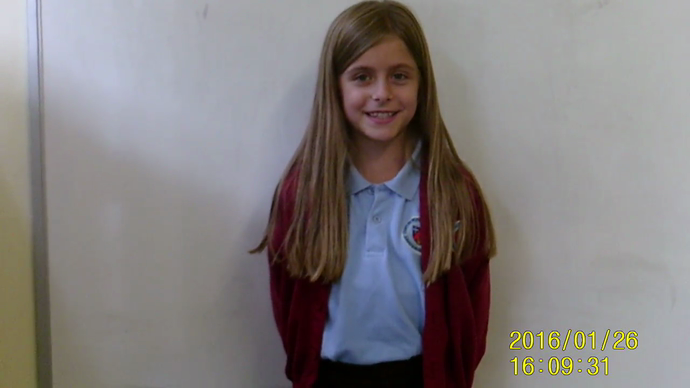 She cut them up and asked us to make a new face. 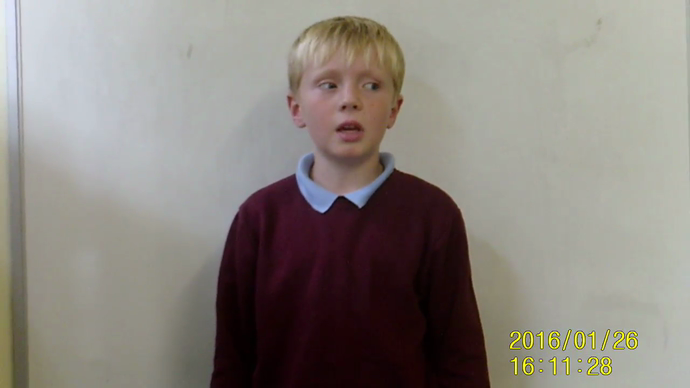 All our pictures ended up looking very different. 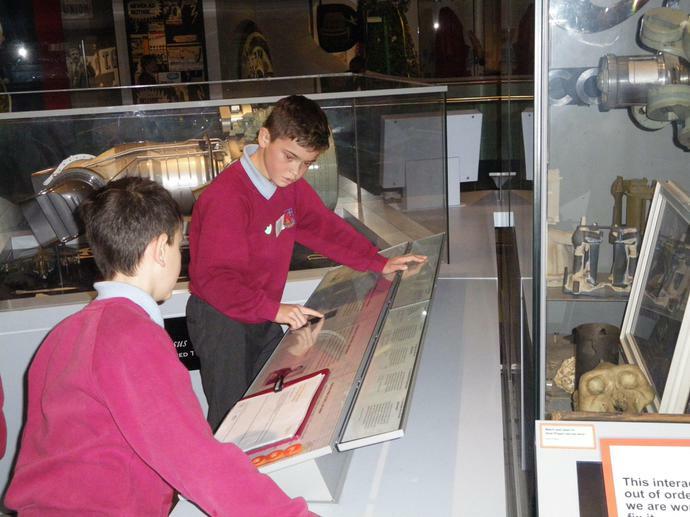 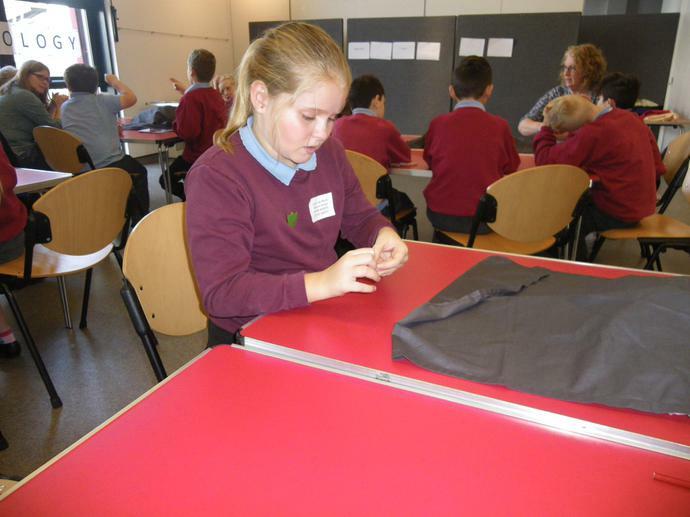 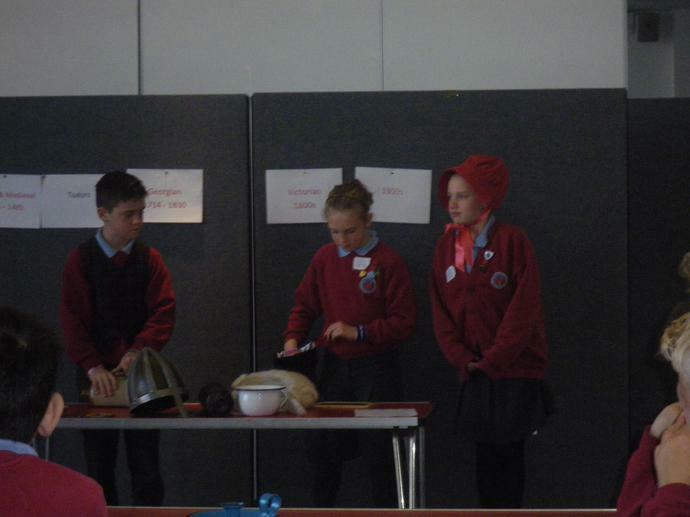 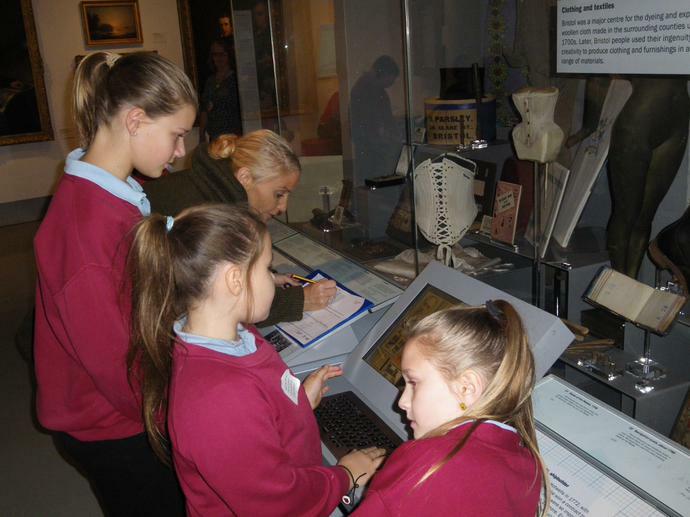 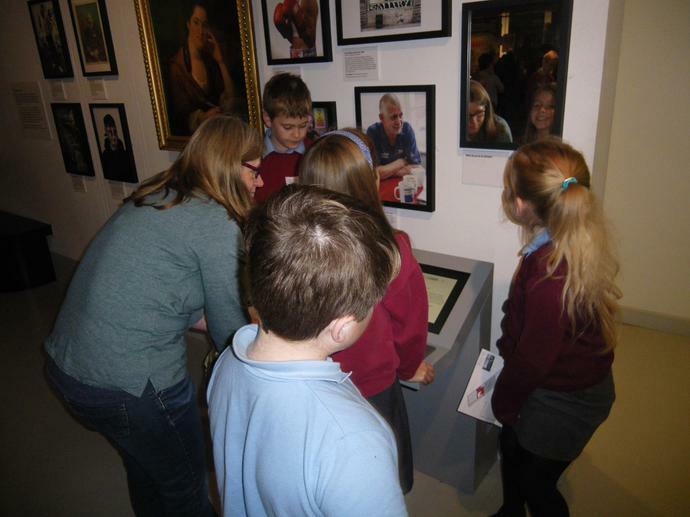 On Friday 10th November, Kingfisher and Kestrel classes went on a trip to the M Shed in Bristol. 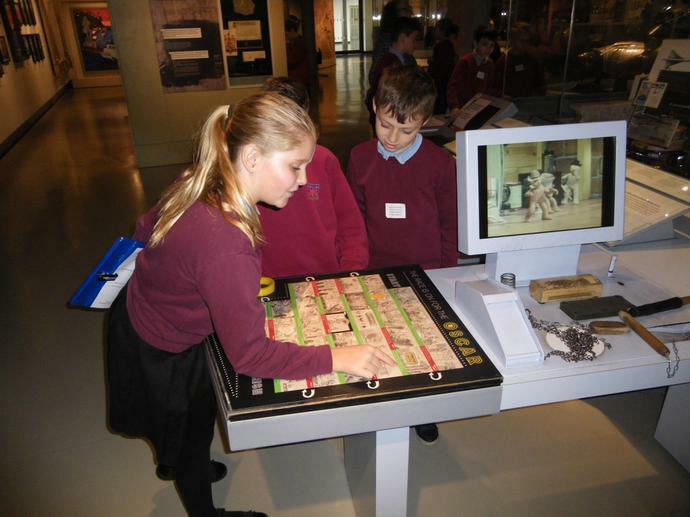 This trip was to help us learn more about the history of Bristol as this has been a focus of our theme work this term. 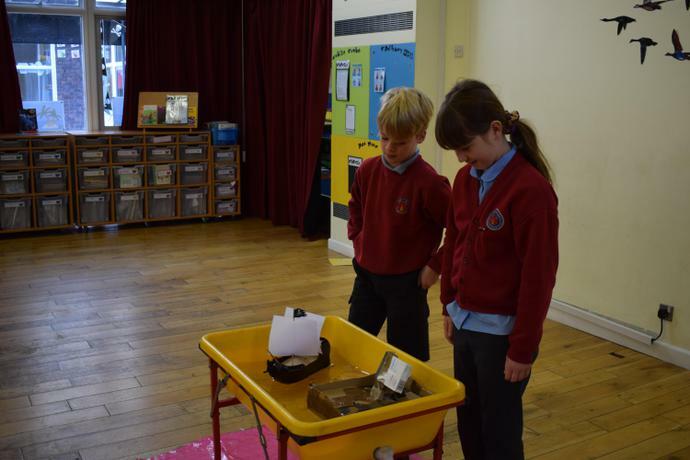 We really enjoyed exploring the museum to find out what has changed in Bristol over the years and what has stayed the same. 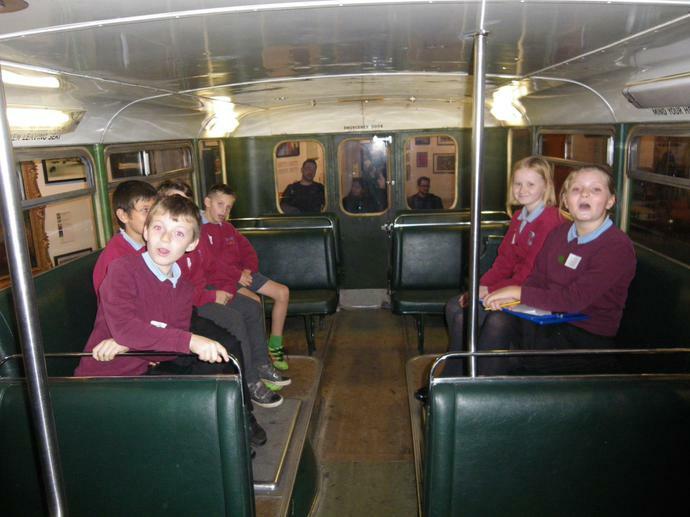 One of our favourite exhibits was the double decker bus as we found it really interesting to see how transport has changed a lot in the last few decades. 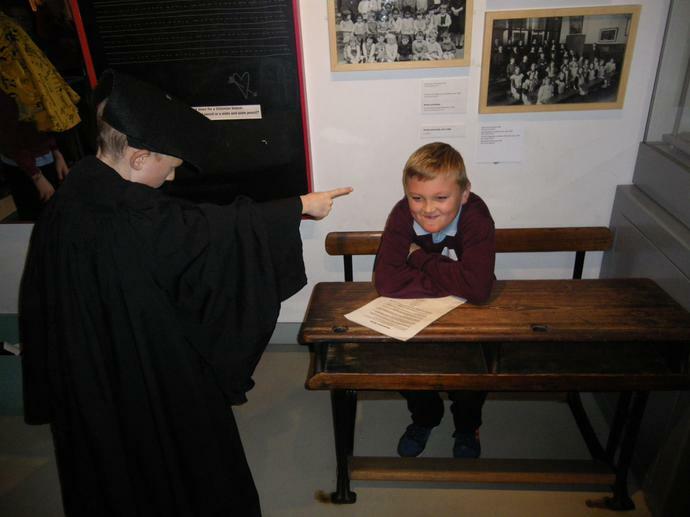 As part of our visit we also had a workshop about the history of Bristol which we enjoyed because we got to handle artefacts from different time periods and some of us also got to dress up in costumes! 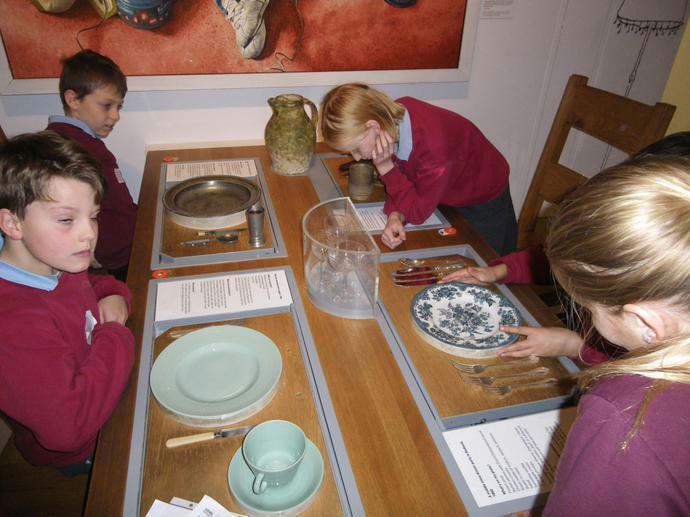 We had a great time on our trip and would like to say a big thank-you to all of the parent helpers that came with us. 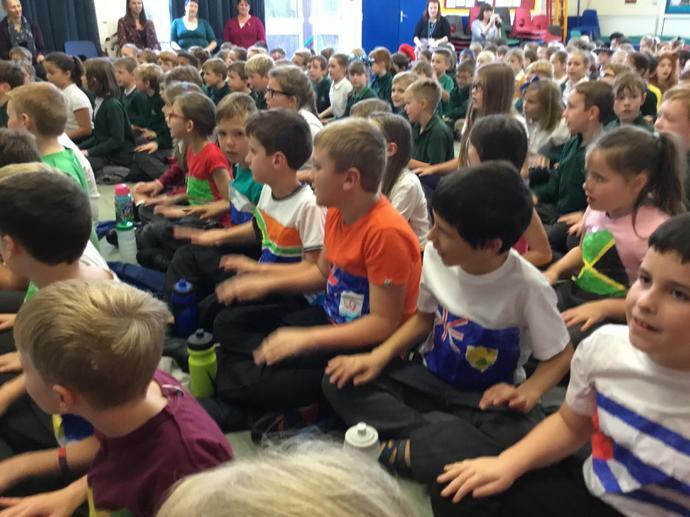 On Tuesday 7th November, Kingfisher Class took part in the Raise the Roof Festival organised by the North Somerset Music Service. 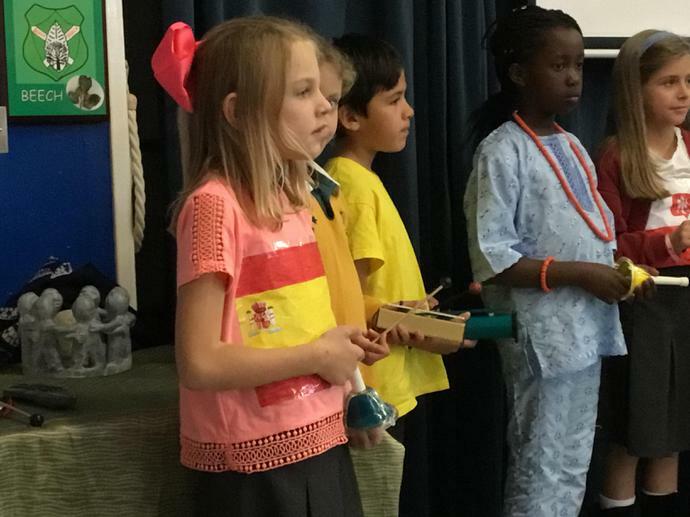 This year's theme was 'Around the World' and we have been learning songs from lots of different countries since September. 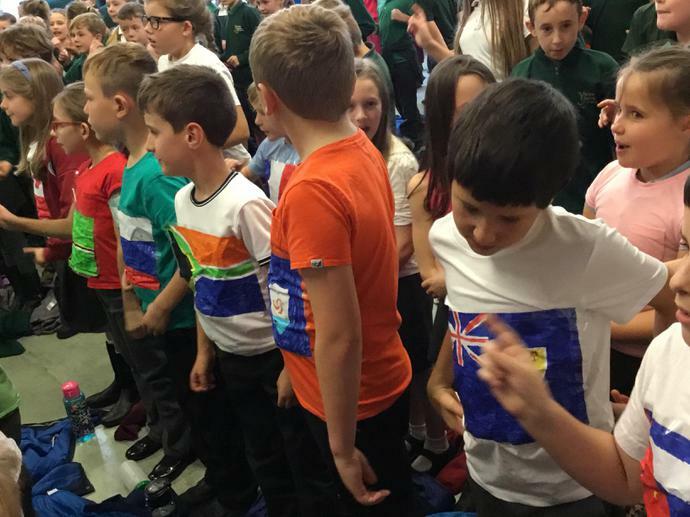 At the festival, we wore flags from some of the countries and we enjoyed singing the songs alongside children from Backwell Junior and Yatton Schools. 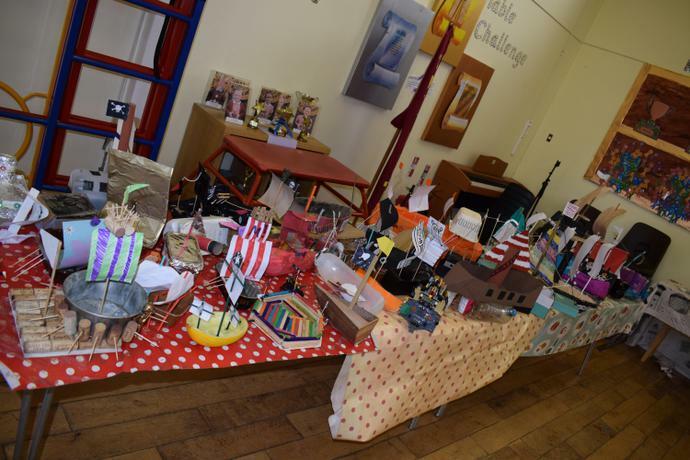 Kingfisher Class have already had a great start to the new academic year by spending the first two weeks on our whole school topic of Pirates. 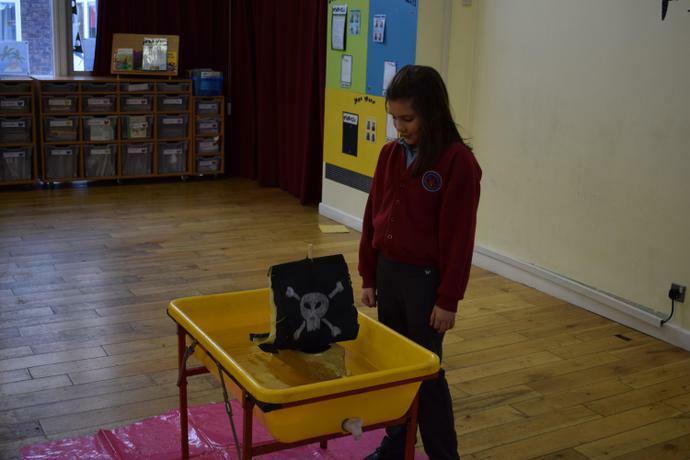 The whole school have been learning the story of Captain Plank's Pirate Adventure and in Kingfisher Class we have been using this as a basis for our own pirate adventure stories. 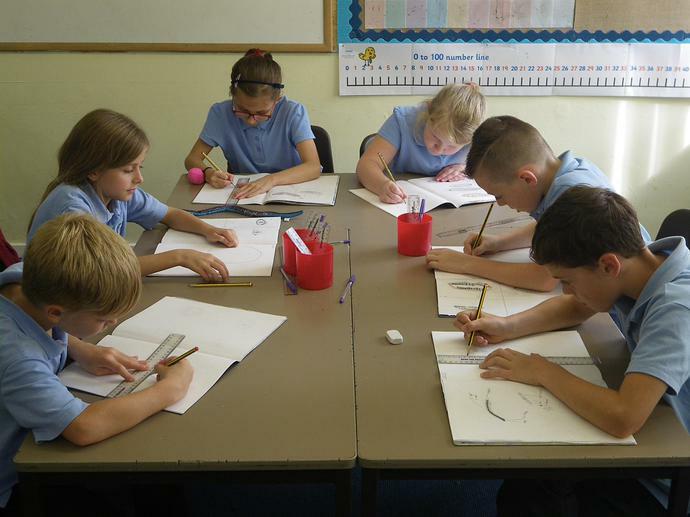 In Art we have been improving our sketching skills by sketching each other and we will soon be using these skills to create self-portraits in different styles. 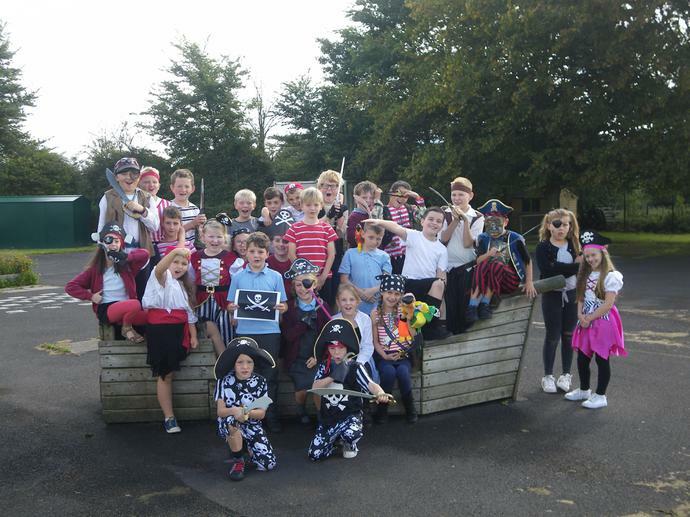 On Friday 15th September, the whole school had a pirate wow day where we all dressed up as pirates. 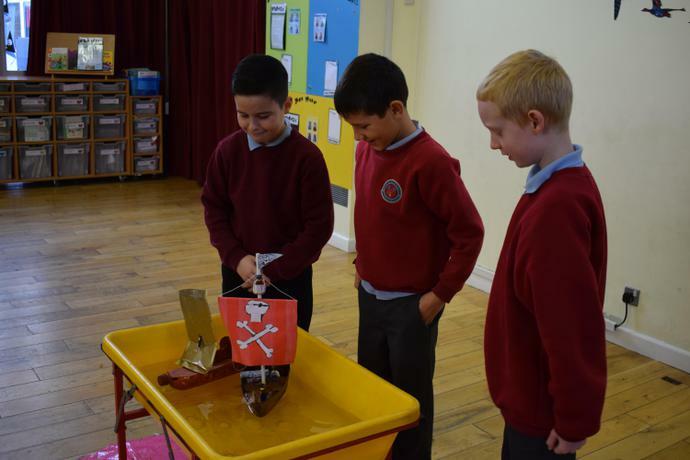 In the morning, we learnt the meaning of some pirate phrases like 'scupper that' and 'ahoy there' and used them to write some messages in a bottle. 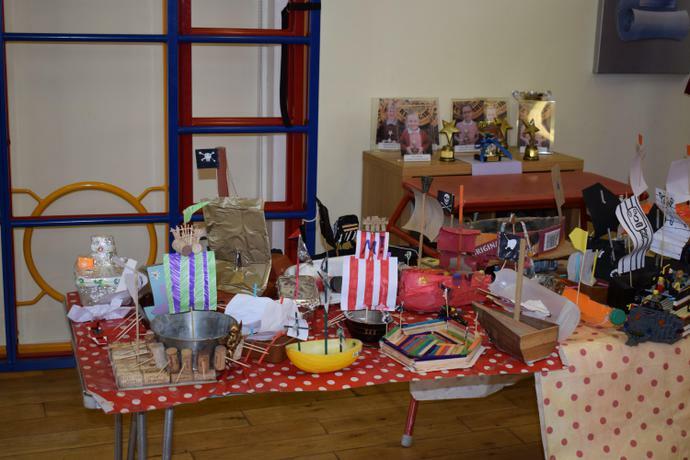 We also look at some different pirate flags and had a go at designing our own flags. 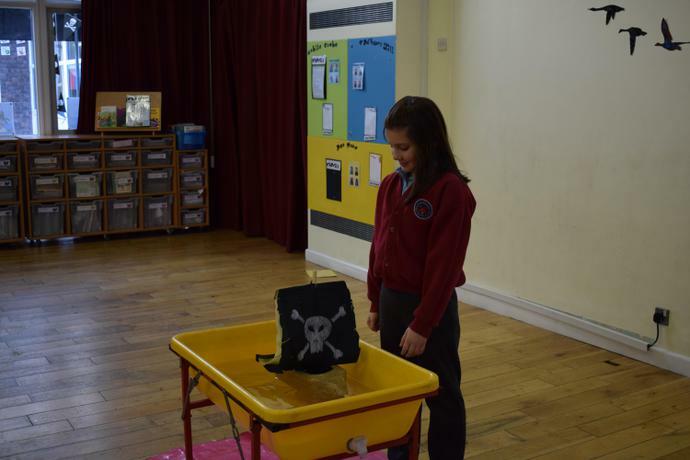 In the afternoon, we had a whole school assembly and got together to recite Captain Plank's Pirate Adventure and share the work we had been doing in the morning. 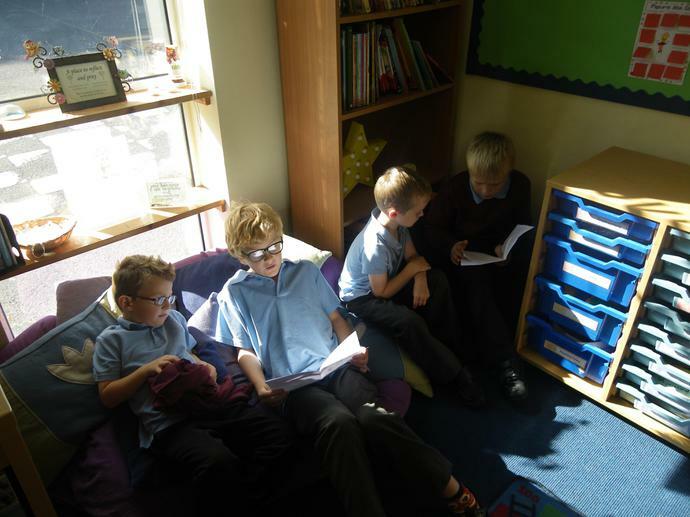 Kingfisher Class are trying really hard to at least get their first reading challenge certificate by October half term.